Guest Author C.W. 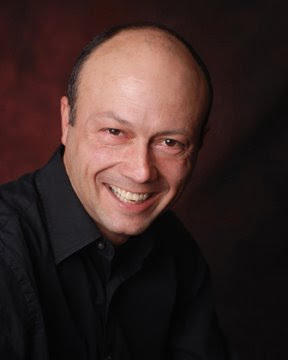 Gortner, author of "The Last Queen"
It is with extreme pleasure to offer this guest post by author C. W. Gortner, author of novel "The Last Queen". I recently finished this novel (please see my review here) and I was caught up in the intrigue of Juana of Castile, who was indeed the Last Queen of Spanish blood to inherit the throne of Castile. She is an amazing character, and one which historians differ on their views of whether Juana was mentally disturbed or not. With the Paperback release of "The Last Queen" today, Gortner is embarking on a virtual tour to intrigue us even more! Tomorrow please visit Amy at Passages to the Past to see what fascinating details awaits us there! Thank you to Christopher Gortner for supplying us with some more wonderful insight on this subject, Juana La Loca. In 1538, John Knox issued his pamphlet, The First Blast of the Trumpet Against the Monstrous Regiment of Women, in which he denounced the rule of women as “unnatural”. The pamphlet is a classic example of 16th century misogyny; like many men of his era, Knox believed women had no place on the throne and he saw the ascendancy of such queens as Mary Stuart and Elizabeth I as a sign of corruption in the moral fabric of society. Of course, history has proven him wrong. Elizabeth I brought glory to her island kingdom; Catherine de Medici steered France through one of history’s most savage religious conflicts and though her life was disastrous, Mary Stuart left behind a lasting legacy through her son James I. But they were not the first women to wear crowns in their own right; before them was Isabel of Spain, who overcame significant odds to become queen of Castile. Like Elizabeth I, Isabel was a female monarch of the Renaissance; in her lifetime she held more power and ruled a larger portion of Spain than her husband Ferdinand of Aragon. And she bequeathed all her power to her second eldest daughter, Juana of Castile, the central character of THE LAST QUEEN. The kingdom Juana inherited had only recently been united under her parents. Isabel and Ferdinand’s marriage brought Castile and Aragon under one rule, ending centuries of rivalry. Their union also allowed them to fulfill the ambition of every Christian monarch of Spain: to banish the Moors and unite the entire country. By the time Isabel and Ferdinand accomplished this, France’s centuries-old centralized monarchial power menaced Spanish interests in the Mediterranean, while England had survived years of civil tumult to be ruled by the new Tudor dynasty. The Renaissance, flourishing in Italy since the 1400s, was about to sweep north, and Isabel of Castile was determined to place Spain at its forefront. She curtailed her nobles’ lawlessness; initiated strict new laws of adherence to the throne; and wrestled a feudal court into modernity. She, in fact, managed to achieve what no king in Spain before her had. Why, then, did her daughter Juana experience such terrible difficulties when the time came to assume her throne? First of all, it is important to note that none of Isabel’s daughters were expected to rule; though all four reaped an enviable education, their anticipated roles in life were as queen-consorts. Though she had achieved the throne, Isabel apparently never paused to consider that her realm might fall to one of her daughters; it was only through misfortune that Juana suddenly found herself heiress to Castile and to her father’s realm of Aragón, which at the time did not sanction female succession. Misogyny of the type promulgated by Knox was a major obstacle and source of conflict for Juana. Her husband Philip of Habsburg actively campaigned against her because he could not accept the lesser role of king-consort that accepting her as queen entailed, and Castile itself had a fractious yet powerful nobility, which had flourished during the long medieval age of divisiveness. They’d chaffed under the strict rule of Ferdinand and Isabel, who stripped them of their affluent holdings to support the Crown, their intrigues and zealous self-aggrandizement curbed by monarchs with no tolerance for anything that did not put Spain first. Isabel was definitely a queen to be reckoned with; but it cannot be overstated enough that she also had her husband’s support, something Juana lacked. Ferdinand may have held the lesser power on paper, but at court Isabel set him at her side as her equal and she never let her nobles forget it. With her demise and Ferdinand’s banishment (he had no further right to call himself king of Castile after his wife’s death) the nobility surged up against Juana, flocking to the bribery offered by her husband, Philip. They had determined that under no circumstances would another queen rule over them and they plunged Castile into chaos to prevent it. Being a queen of Spain had never been easy. Only a handful of women had held power in Castile and all faced the machinations of the nobility, prejudices of their male counterparts, and, at times, the lethal ambitions and envy of husbands or sons. Juana of Castile stepped into the formidable shadow cast by a warrior-queen mother with only her bravura, her determination, and her blood right to do battle with. Unlike Isabel she lacked the support of her spouse and her nobles; she did not even have the ability to raise an army. Yet like Isabel before her, she never conceded defeat. 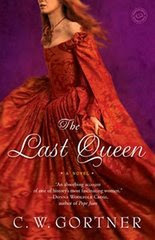 THE LAST QUEEN: Ballantine Books Trade Paperback - Available May 5, 2009 in bookstores everywhere! THE LAST QUEEN VIRTUAL BLOG TOUR '09 will officially begin on May 4 and end on May 29. You can visit C.W. 's blog stops at http://www.virtualbooktours.wordpress.com/ in May to find out more about this talented author!As a special promotion for all our authors, Pump Up Your Book Promotion is giving away a FREE virtual book tour to a published author or a $50 Amazon gift certificate to those not published who comments on our authors' blog stops. More prizes will be announced as they become available.